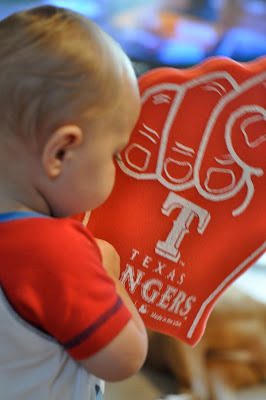 Micah spent the other morning practicing cheering for the Rangers in preparation for the game we'll go see later this season. He was ready to cheer before I could even get his morning diaper changed and before sitting down for breakfast. 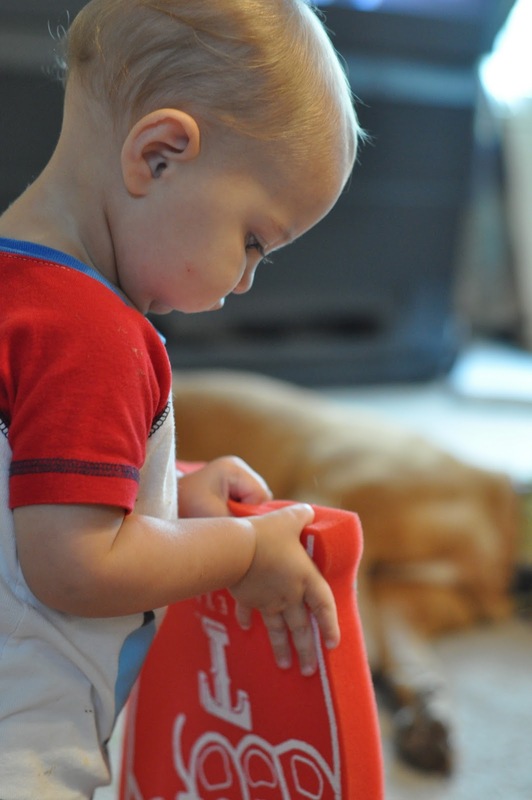 He also learned things you shouldn't do with your foam finger - hitting sister with it!